U.S. keeps making health insurance gains, but changes loom | Lewis & Ellis Inc. The national laws pertaining to health care and health insurance have been a massive topic of conversation for years at this point, but one fact is undeniable: Millions more people have coverage now than they did just a few years ago. That's a trend that continued into the administration of President Donald Trump, despite many concerns that the health care landscape could have shifted significantly during his first few months in office. The latest data from the federal government suggests that the number of uninsured Americans fell by 500,000 this year, though that number is statistically insignificant in terms of the total U.S. population, according to CNBC. Now, some 20.5 million people have gotten health insurance - often for the first time - since the passage of the Patient Protection and Affordable Care Act in 2010, reducing the national rate of uninsurance to just 8.8 percent. That still leaves some 28.1 million Americans going without coverage, but that's still a significant decline from where the national number was just seven years ago. More people continue to get health insurance thanks to the ACA. If the total uninsurance rate is starting to hold steady from one year to the next - albeit at a far lower level than just a few years ago - there are potentially a few ways to get more people covered and simultaneously reduce costs for all involved, according to National Public Radio. A recent analysis of the current health insurance landscape highlighted just a few steps that could reduce costs and boost enrollment over the next several years. These steps - which sound relatively simple but would require lawmakers to work together for the long-term health of the insurance market - include creating a national reinsurance program, committing to subsidizing premiums for the long-term, more strongly enforcing the individual coverage mandate, and eliminating taxes on health insurance. In total, the researchers behind the suggest that this could bring another 2 million Americans into the health insurance market and simultaneously reduce premiums by 20 percent, the report said. Specifically, it would convince those 2 million people to buy coverage through individual marketplaces - government-run or otherwise - and cut average premiums from $486 to $384. Meanwhile, federal lawmakers are also eyeing another path toward broader health insurance coverage, specifically universal coverage, according to Vox. U.S. Rep John Conyers now has broad support from Democratic lawmakers in the House of Representatives for a single-payer health insurance bill that would effectively use taxpayer dollars to provide free, total coverage to every American. And while experts largely agree that bill likely wouldn't come close to passing the House, which is controlled by the GOP, it shows a growing appetite among both lawmakers and average Americans to look at the national health care picture differently. "It proposes, in just one stroke, to cut away so many of the pathologies of our health care system. And you can look at that and say, 'The shocks to society this would produce would be crazy — too crazy to actually pull off," Harold Pollack, a health expert at the University of Chicago, told the site. "On the other hand, the bill forces us to confront how pathological our system is in the first place. And it does so in a breathtakingly ambitious way." Meanwhile, U.S. Sen. Bernie Sanders is planning to launch his own version of a universal single-payer health insurance plan in the Senate in the next few weeks, and has likewise garnered support from a few notable Democrats, according to Politico. Most recently, that includes a co-sponsor in California's Kamala Harris, widely considered an emerging figure within the party. 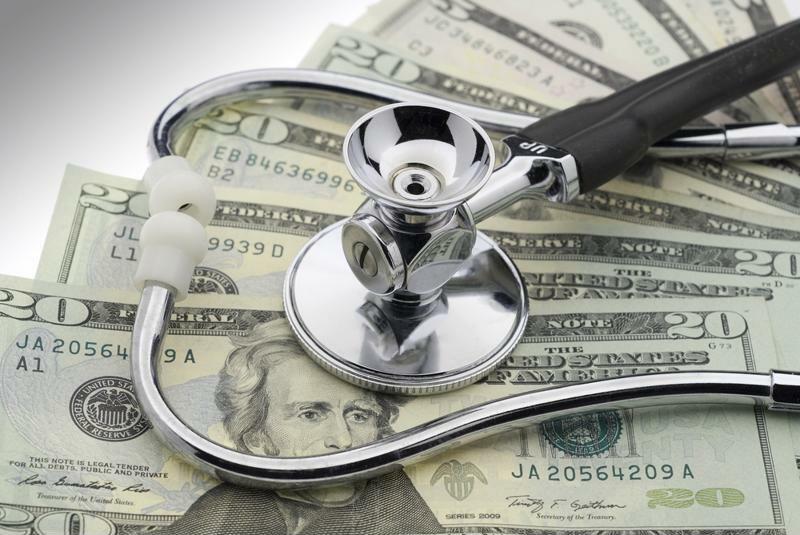 Whatever changes come to the U.S. health care landscape, insurers and consumers alike will have to keep a close eye on the proceedings to learn how they will be affected.